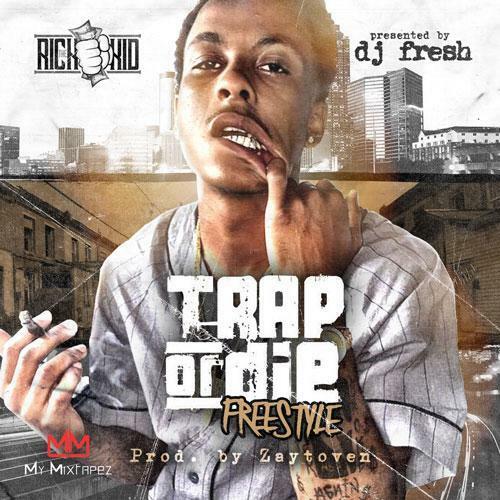 Rich The Kid drops off a new "Trap Or Die" freestyle. Looking to build off his current momentum, which is due in part to his successful Migos-featured mixtape Still On Lock, Rich the Kid decides to come through tonight and share a new freestyle for the fans titled “Trap Or Die”. Over some menacing production from hit-producer Zaytoven, Rich The Kid delivers a new trap cut that will surely have the streets jumpin' this Summer. Highlighted by its rapid fire flow & slick wordplay, “Trap Or Die” is just the latest addition in Rich The Kid’s steady growing catalogue of street hits, following in the footsteps of “Change”. Take a listen to the new trap cut and let us know what you think!